If you choose to study English at our English School in Santa Barbara in the beautiful city of Santa Barbara, California, you will never want to leave. Once called California's best kept secret, Santa Barbara is known all over the world for its exceptional climate, stunning scenery, and palm-lined, white-sand beaches. A short ten-minute walk from the beach, ELC Santa Barbara is perfectly located in its own award winning building across the street from the Santa Barbara Courthouse (an architectural and historical landmark) and two blocks from State Street. Every day almost half of our students bike, skateboard or rollerblade to school. The neighborhood around the school, referred to as the arts and culture area of Santa Barbara, is pleasantly crowded with outdoor cafes, restaurants, music clubs, historical attractions, and fabulous shopping. Here in the charming, small and friendly city of Santa Barbara you will find a perfect balance between studying English and enjoying the outdoors with your school friends. In Santa Barbara, students can select from Photography, Yoga, or Tennis. Offered at all three ELC locations, this program includes 35 lessons per week of individual instruction. The course may begin on any Monday and is tailored to the individual student's specific business, professional or academic needs. It is available for students at all levels, including those just beginning the study of English. Live on campus at the beautiful University of California at Santa Barbara (UCSB) and learn English with the English Language Center (ELC) Adult Summer Campus Program. Our program is offered during the summer months of July and August and allows students to combine UCSB dormitory accommodation with one of our General English or Test Preparation Courses. 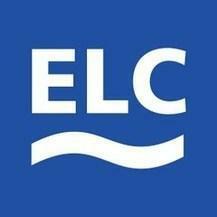 Students attend ELC English classes Monday through Friday at the ELC Santa Barbara school, approximately 20 minutes away by express bus public transportation. Afternoon group activities are also available at the ELC Santa Barbara school. Please note: All classes for the UCSB Campus Program classes will be held at the main ELC location. Classic Program: Consists of a mix of cultural, sports, sightseeing and shopping activities. Special UCSB Explorer Program: Surf Explorer (requires supplemental fee) - Take advantage of the world-famous Santa Barbara beaches with group surf lessons. Special UCSB Explorer Program: Outdoor Explorer - Enjoy the beautiful Santa Barbara mountains and oceans with activities such as hiking, kayaking, and horseback-riding.